Activists protest outside the Maryland Department of the Environment offices in Baltimore in June. A group of 59 local and state elected officials, including 21 members of the General Assembly, have signed a letter urging Gov. 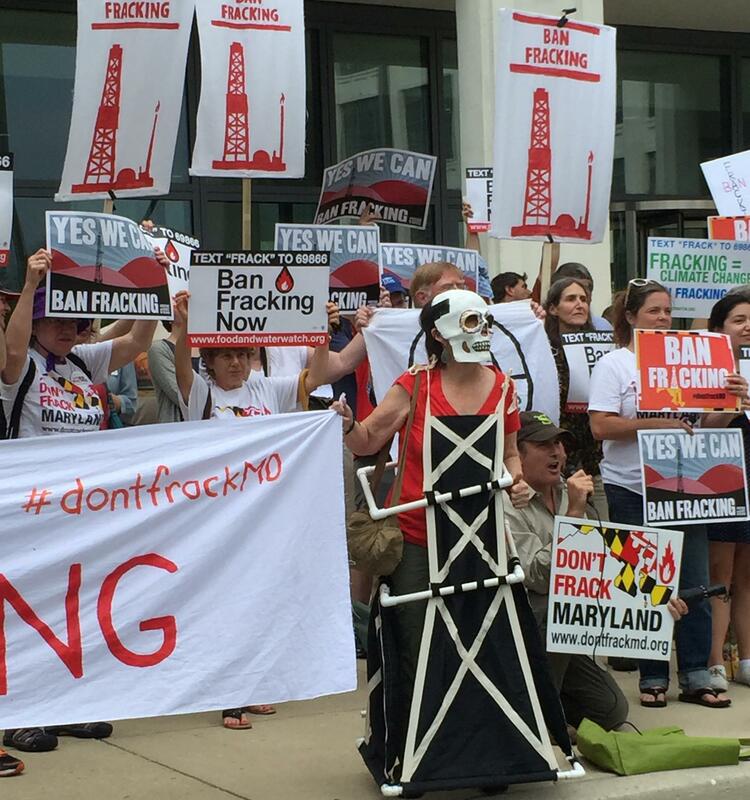 Larry Hogan and state legislators to ban hydraulic fracturing, or fracking. The letter notes that public health risks drove New York to ban fracking and calls for Maryland to follow suit. It points to a recent Johns Hopkins Bloomberg School of Public Health study that linked fracking to increases in preterm births and asthma attacks. The controversial drilling process is likely to be the focus of several bills when the General Assembly reconvenes Wednesday. The state’s two-year fracking moratorium is set to expire Oct. 1, but there’s a laundry list of Democratic legislators who aren’t eager to let that happen. 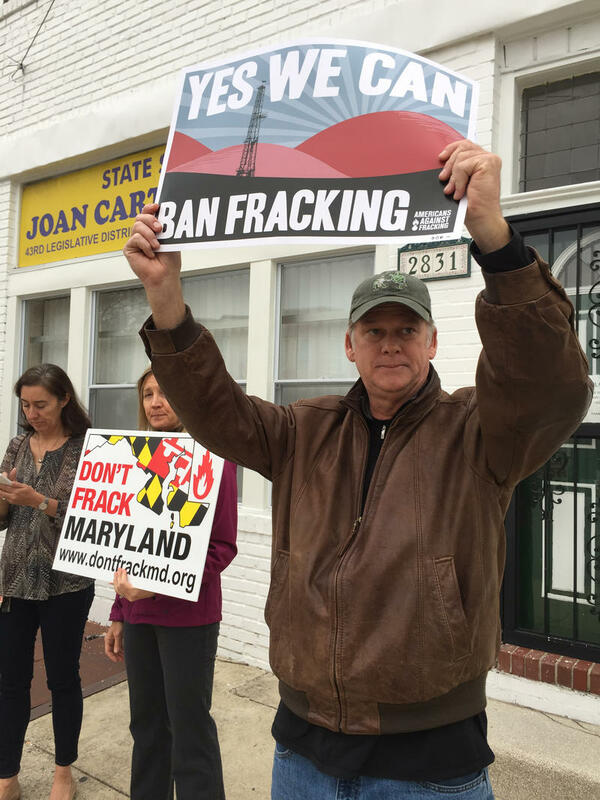 Lawmakers have suggested the upcoming session could see proposals for an outright fracking ban, a new fracking moratorium, or new fracking regulations — in addition to those the Maryland Department of the Environment is already crafting. “I haven't seen any indication that fracking can be performed safely and that respects the wishes of local governments who have banned fracking,” said Sen. Roger Manno, a Montgomery County Democrat who signed Monday’s letter. He said he would back a ban or a moratorium. Manno co-chairs a legislative committee that is reviewing the Hogan administration’s proposed fracking regulations, which must be in place before drilling can begin in October. The committee took the unusual step of putting a hold on the regulations until the end of February, effectively delaying the administration in finalizing them. Last week the attorney general’s office told the committee that local fracking bans — such as the ones passed in Frostburg, Friendsville and Mountain Lake Park in Western Maryland — may still be valid even after the state allows drilling. A separate House committee is considering the health effects of fracking and is set to release a report by early next week. The Baltimore City Council gave initial approval Monday to a ban on hydraulic fracturing, or fracking. The move coincided with a resolution pushing for a statewide ban and is largely symbolic. The ban will effectively be repealed when the state’s drilling moratorium ends next year. 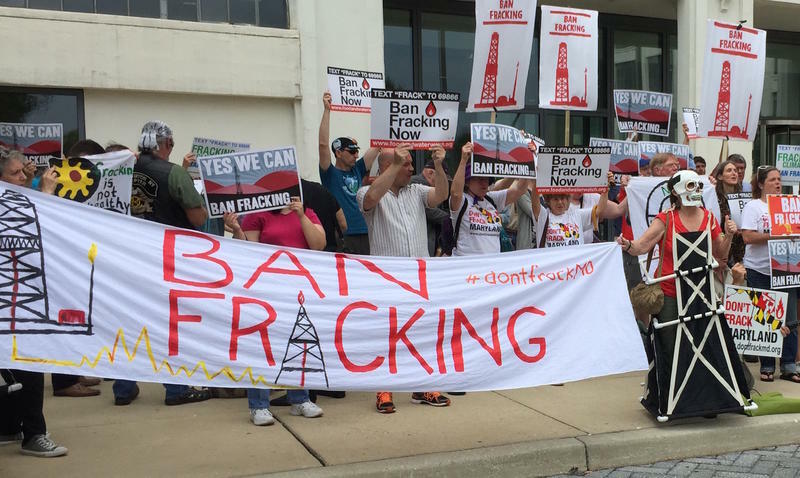 A poll released Monday by Goucher College found that Marylanders are increasingly divided over whether the state should ban hydraulic fracturing, also known as fracking. The state’s moratorium on the practice is set to end in October 2017, when the Department of the Environment plans to begin issuing drilling licenses. Maryland’s two-year ban on hydraulic fracturing, better known as fracking, is expected to end in October 2017. But a small town in northern Garrett County wants to keep the drilling technique from ever being used within its borders.